Things are finally starting to look up for investors, with median weekly house rents recording quarterly growth for the first time in almost five years. With weekly house rents up 1.4 per cent to $355pw during the March quarter and vacancy rate down to 5.1%. 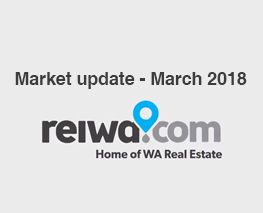 Following a prolonged period of price declines and a rise in listings, the rental market in Perth is showing signs of stability. Over the last 4 years Perth rents fell 4.1 per cent annually with weekly unit rents remaining flat at a median of $300 per week. For the past three years it has been a tenant’s market as landlords have had to substantially reduce rents to find or keep a tenant. This led to a large oversupply of rental properties in Perth. The market has now absorbed most of this over supply so rents have now stabilised.